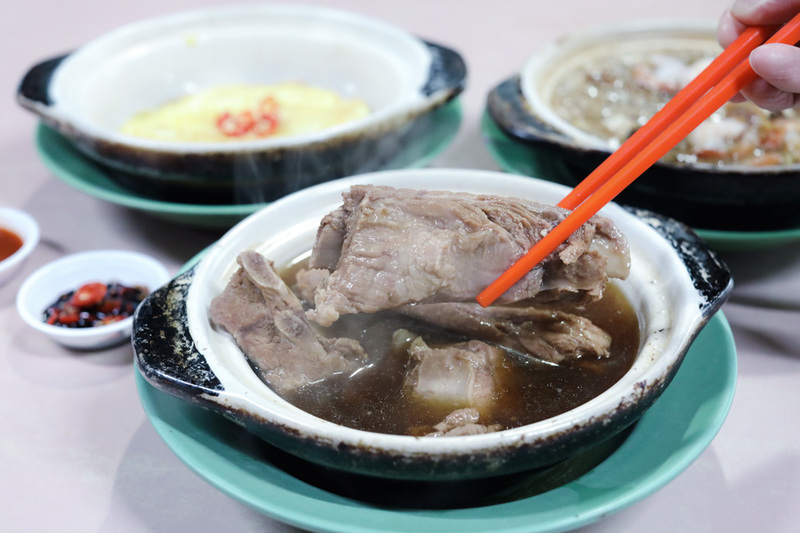 There are basically three main types of Bak Kut Teh (pork rib soup) that can be found in Singapore. 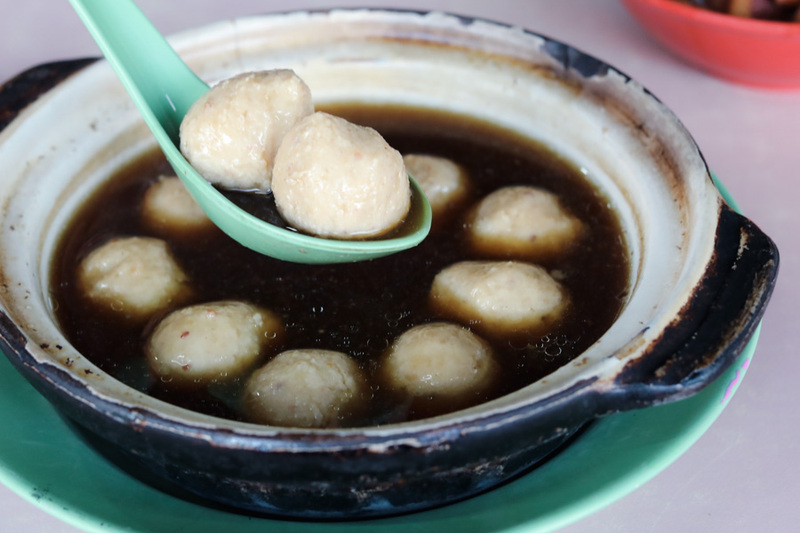 The Teochew style which is lighter with more pepper and garlic – probably most commonly found here; the Cantonese with stronger flavoured soup and herbal taste; and the Hokkien with darker soup with usage of soy sauce and herbs. 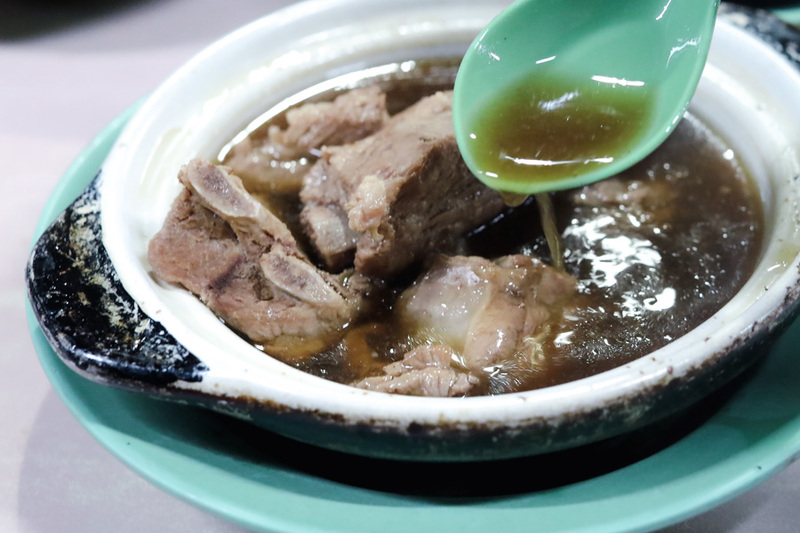 Leon Kee Claypot Pork Rib Soup 諒記砂鍋當歸肉骨茶 at Alexandra Village Food Centre is home to Hokkien style of Bak Kuh Teh (pork rib soup) served in a traditional claypot – similar to the typical Malaysian versions. 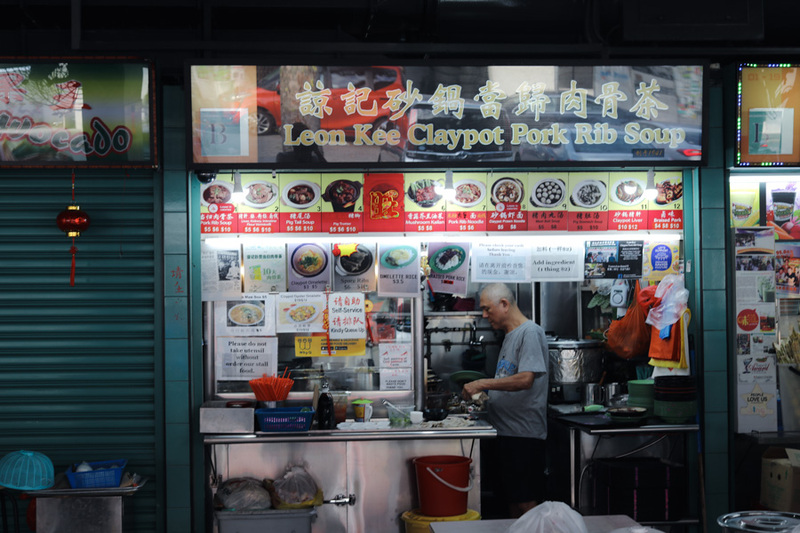 The menu is quite wide-ranging from Pork Rib Soup ($5, $5 $10), Pig Tail Soup ($5, $6, $10), Pig Trotter ($5, $6, $10), to Claypot Prawn Noodles ($5, $8), Meat Ball Soup ($5, $8), and Claypot Liver ($10, $12). As there are other items added on to the menu board pasted by paper, it can look pretty confusing to a first-time visitor. 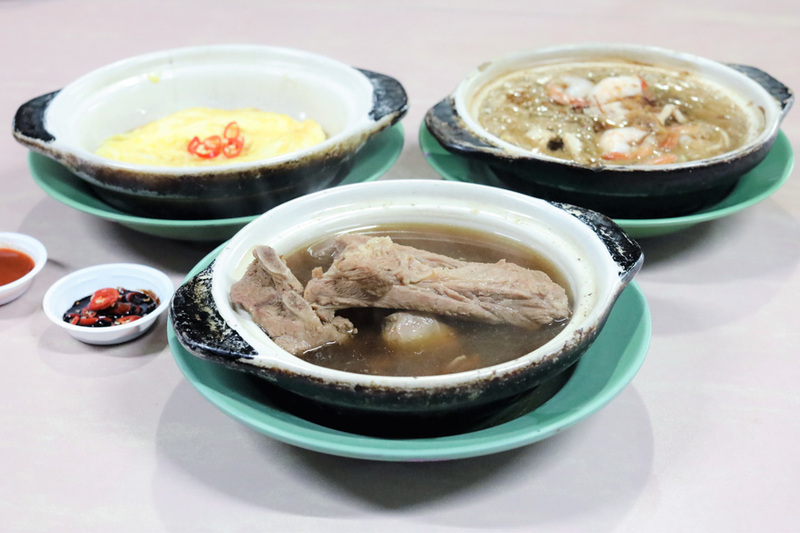 You would find other food such as Omelette Rice ($3.50), Claypot Oyster Omelette ($10, $12) to Braised Pork Rice ($4.00). 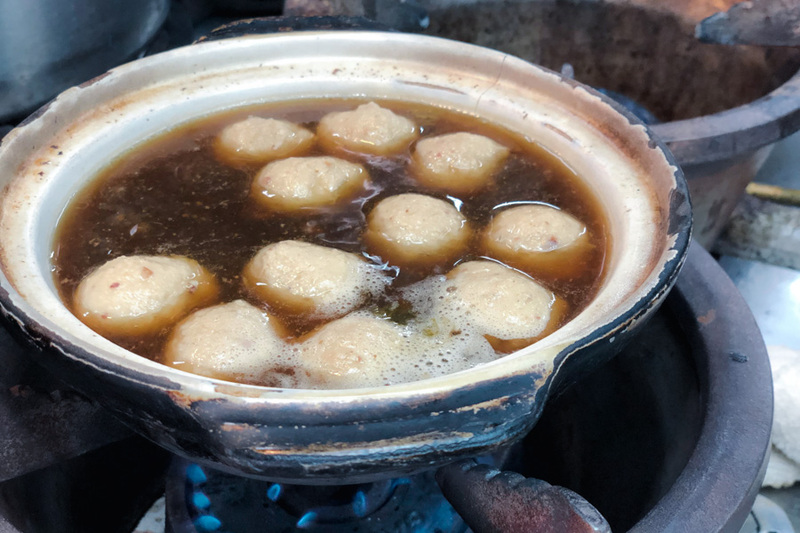 While most claypot stalls can take a while to serve, I would say I waited at most about 10 to 15 minutes. 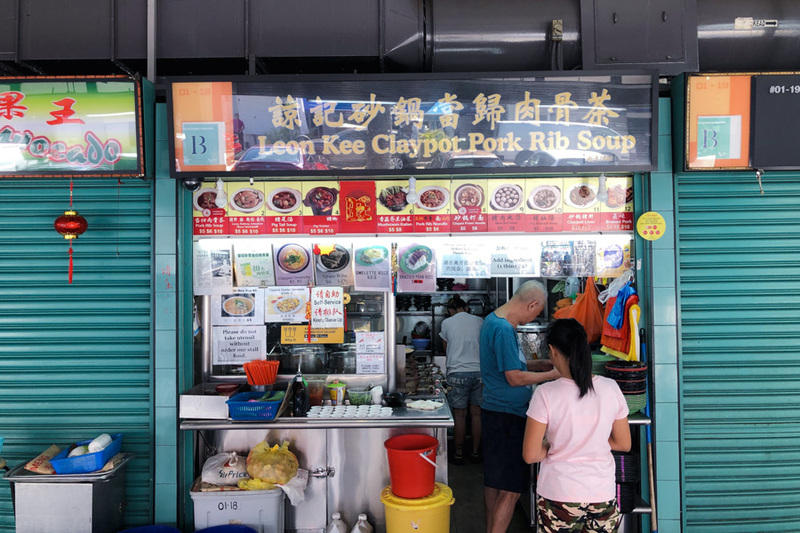 Available in different portion sizes, Leon Kee’s signature Pork Rib Soup ($5, $6, $10) is prepared using a flavourful, not-too-thick broth cooked with different Chinese herbs. While there are fans who say this is possibly close to what you can find in Malaysia, I thought in comparison there wasn’t that strong herbal taste and full-bodied flavours. I would say the broth was somewhere in the middle, in terms of heartiness, intensity and how hot it was. It won’t make you sweat like the usual peppery ones. Well, at least the pork ribs were slide-off-the-bone tender. 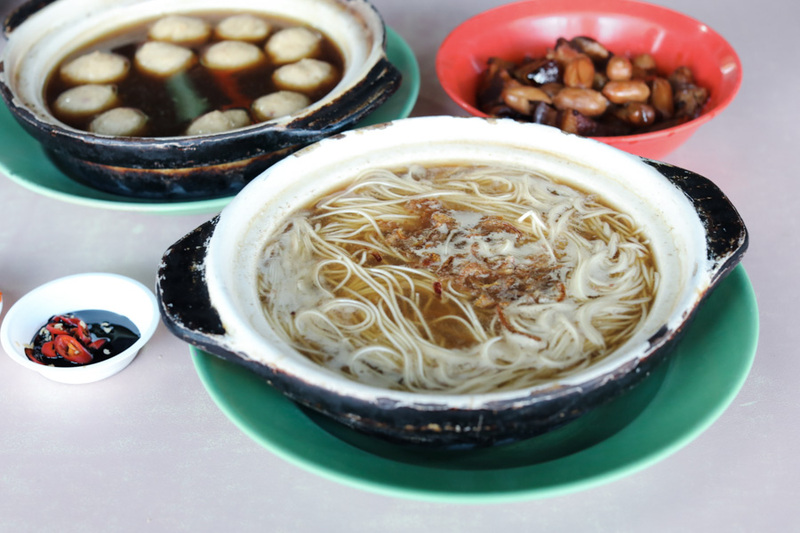 Some of the other items, such as Pig Stomach Soup ($5, $6, $10) and Meat Ball Soup ($5, $8) were cooked in the same broth. 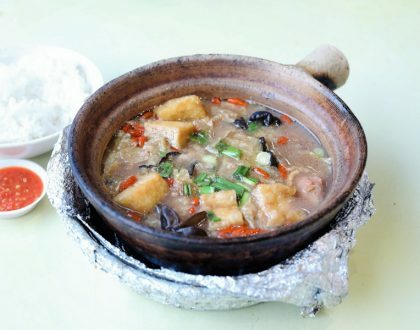 You can also go for the Braised Pork version ($4, $8, $10), best paired with some rice or vermicelli. 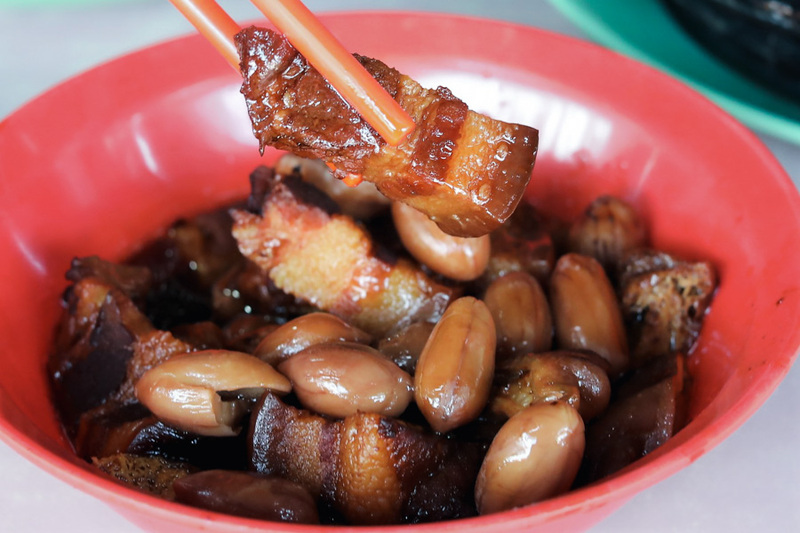 Unlike many other stalls, the pork belly, liver and intestines here are well-prepared leaving little trace of the usual offal smell. 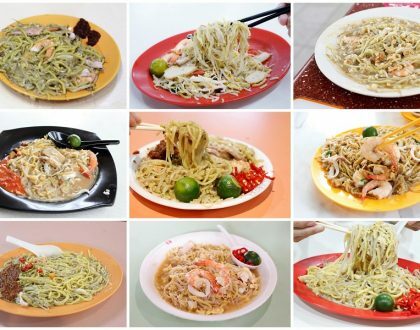 There were some other dishes which didn’t work as well. 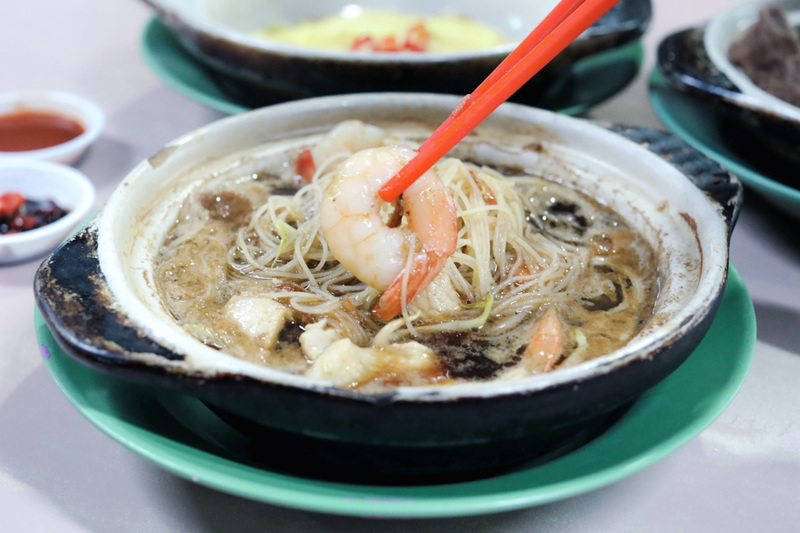 For example, you may have certain expectations of Prawn Noodles ($5, $8) imagining some rich seafood flavours, but do keep in mind the base is a light pork broth. So, you may feel there is something missing there. 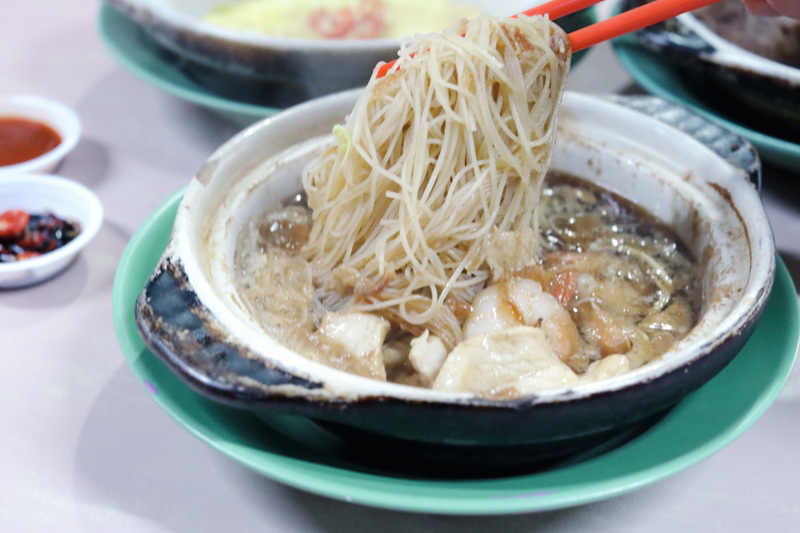 I was intrigued by the Oyster Mee Sua ($5) with the menu photo looking like those thick and gooey variants sold in Taiwanese street markets. Photo vs reality. 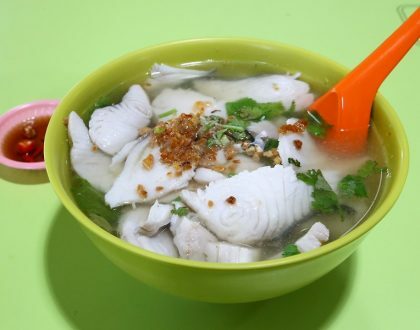 That was probably a wrong stock photo used, as what I was served was Mee Sua in the soupy herbal pork broth. Not quite the same. 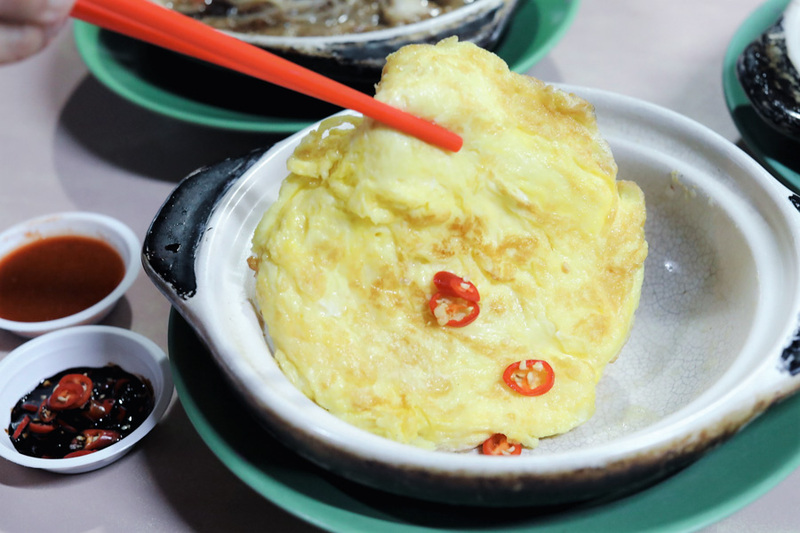 On the menu is also Claypot Omelette ($3, $5) with the eggs cooked direct in the pot. Interesting. 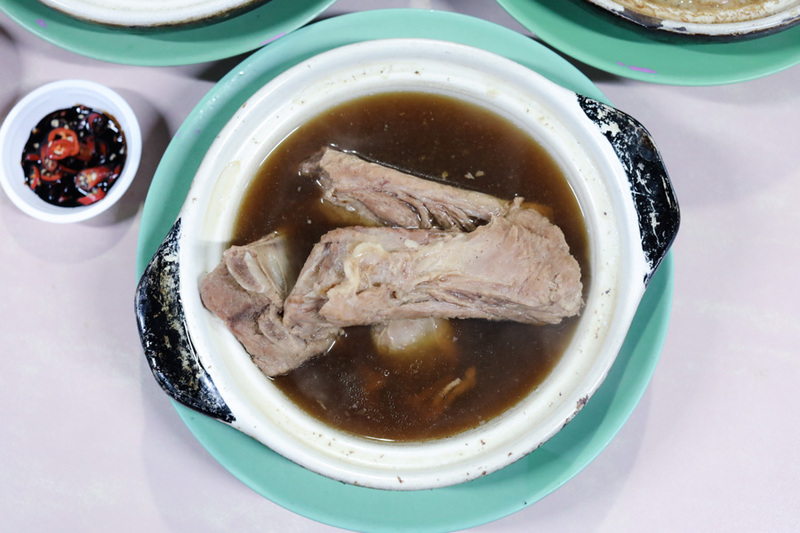 By the way, Leon Kee Claypot Pork Rib Soup is recommended by the Michelin Guide Singapore, listed under “Michelin Plate”.